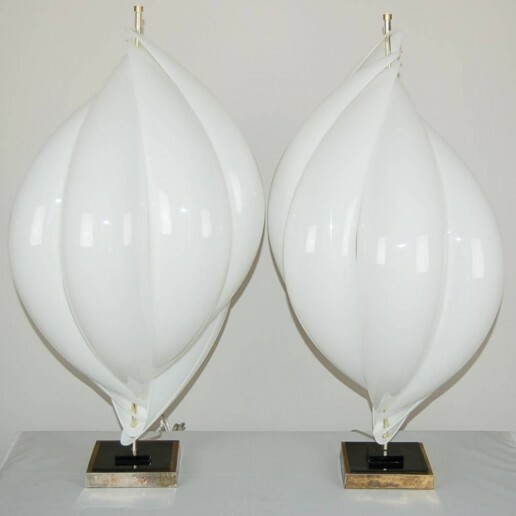 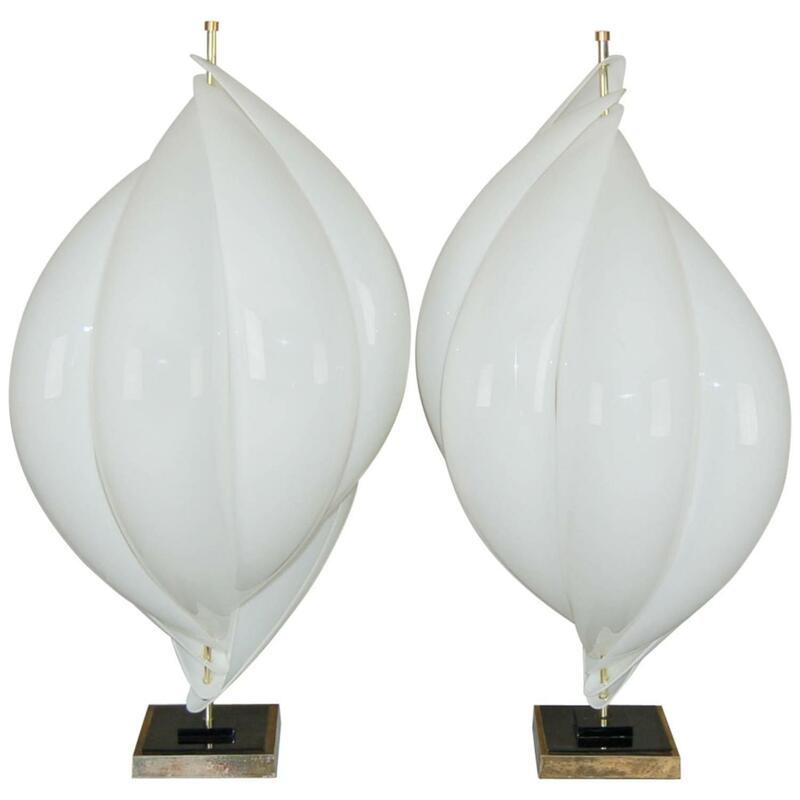 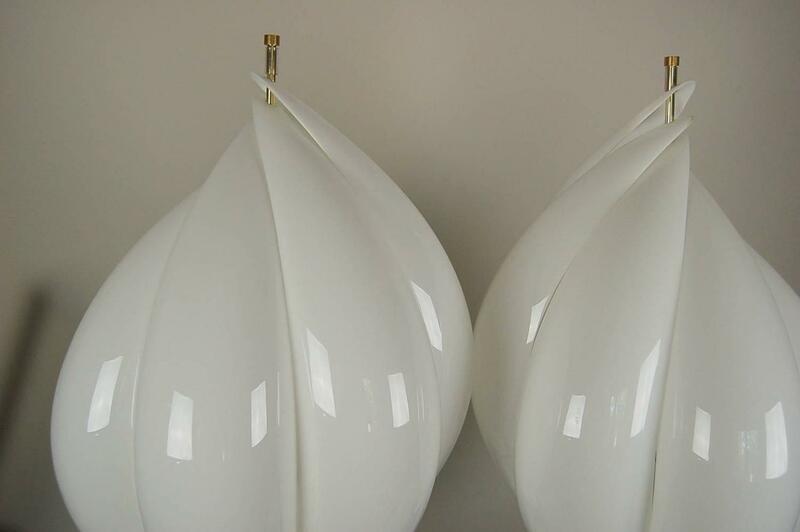 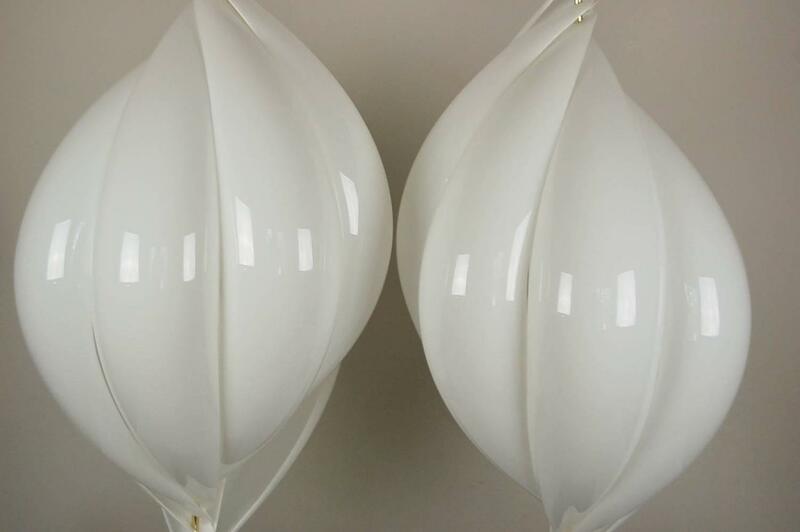 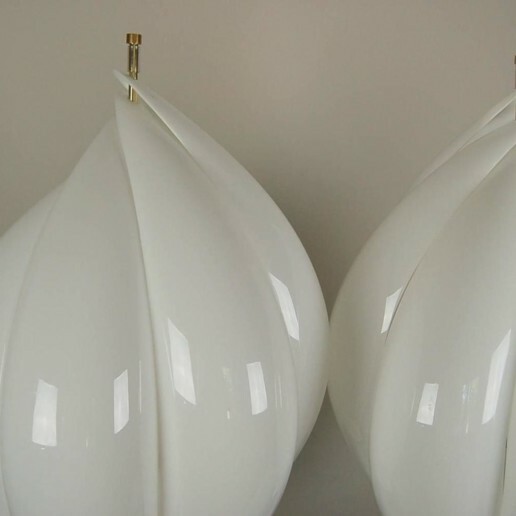 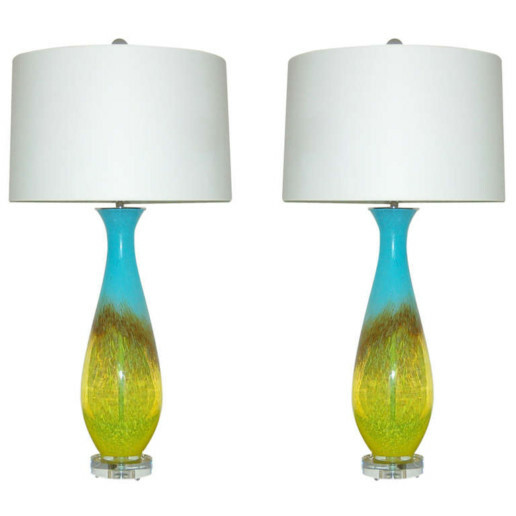 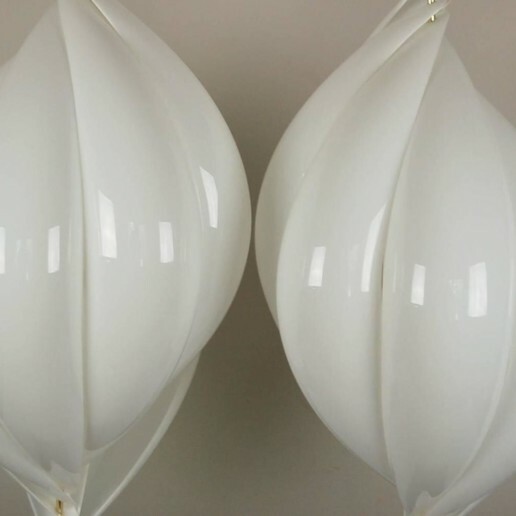 Wonderful Rougier lamps from the 1970s. 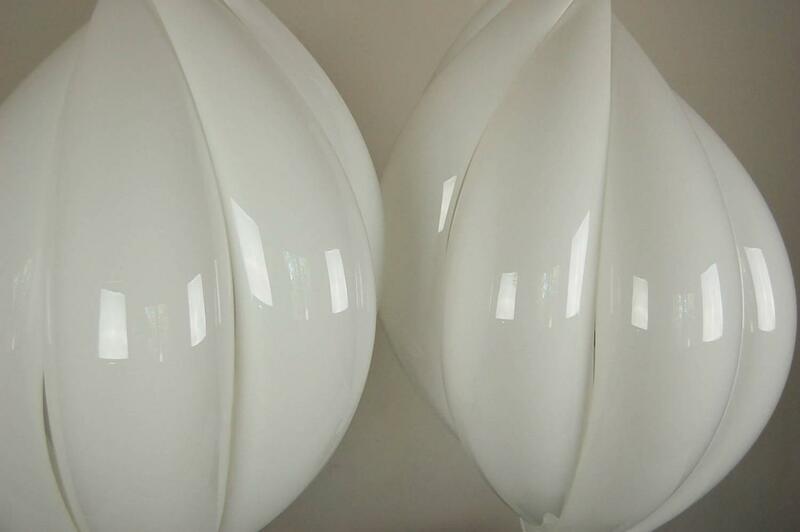 The huge petals are of whiye acrylic and in perfect condition. 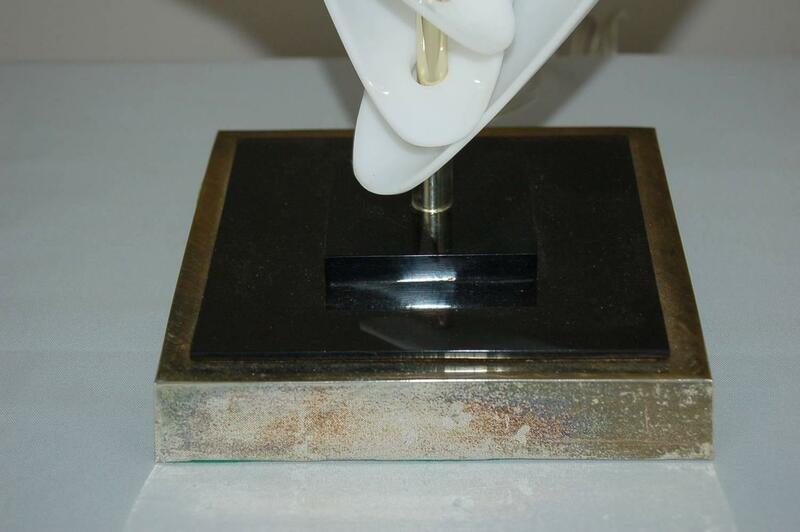 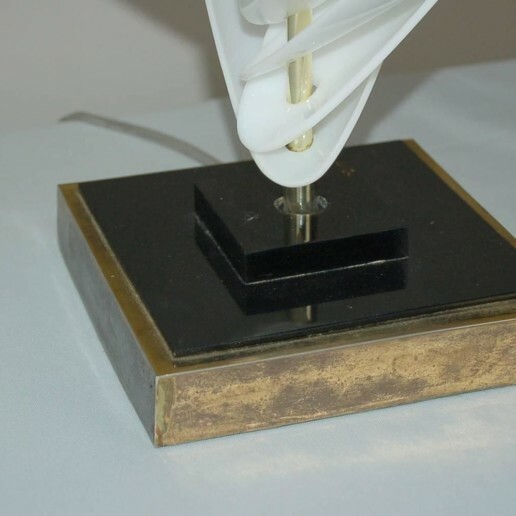 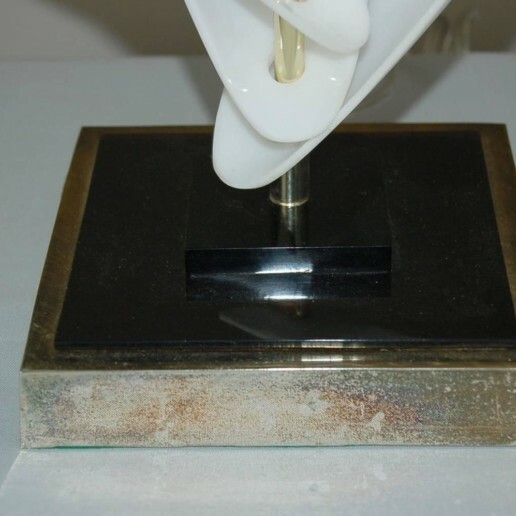 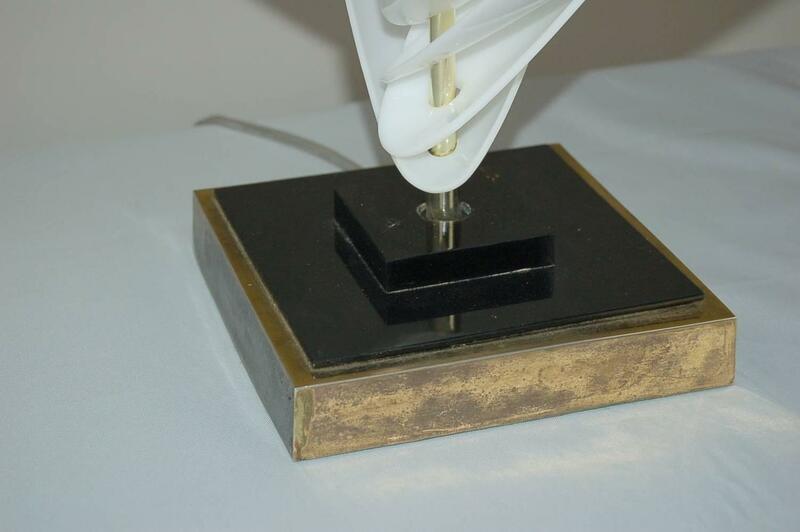 The brass facing of the base shows some wear. 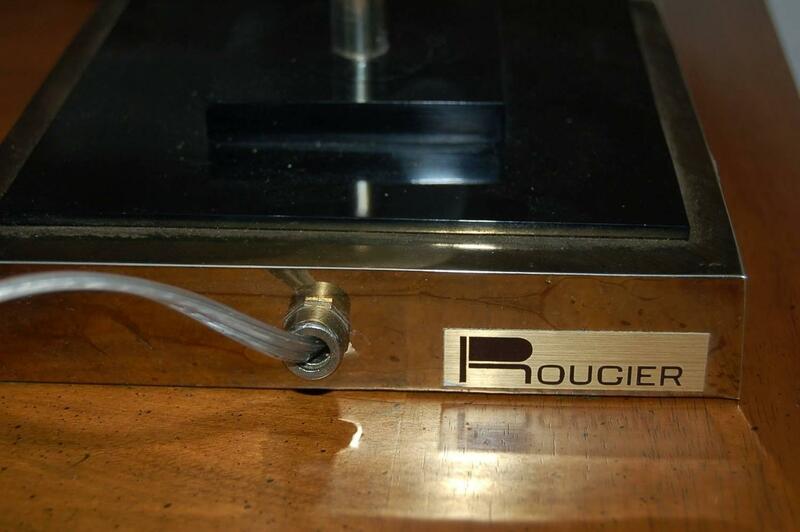 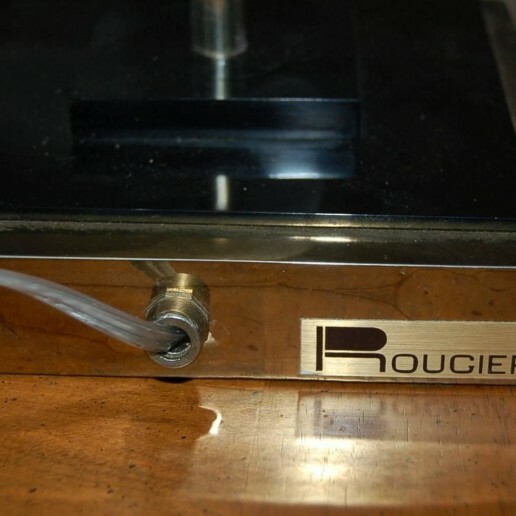 Both bases retain the Rougier label. 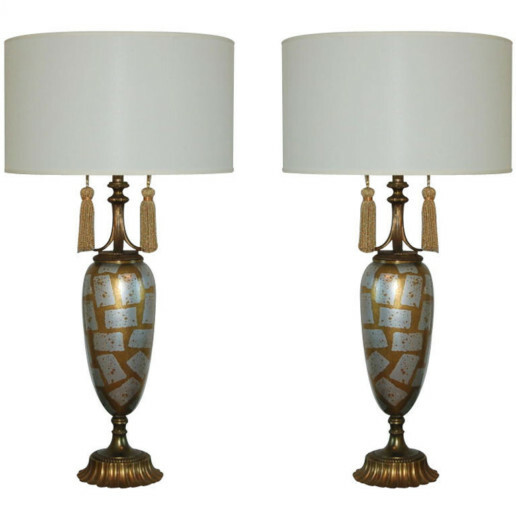 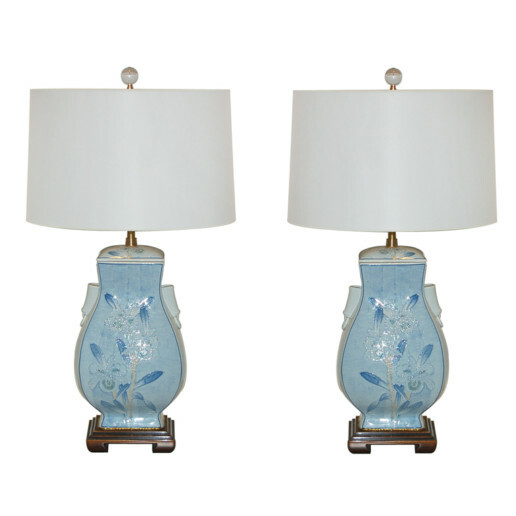 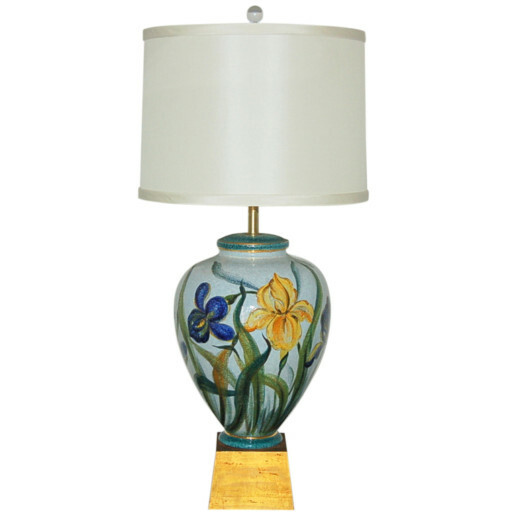 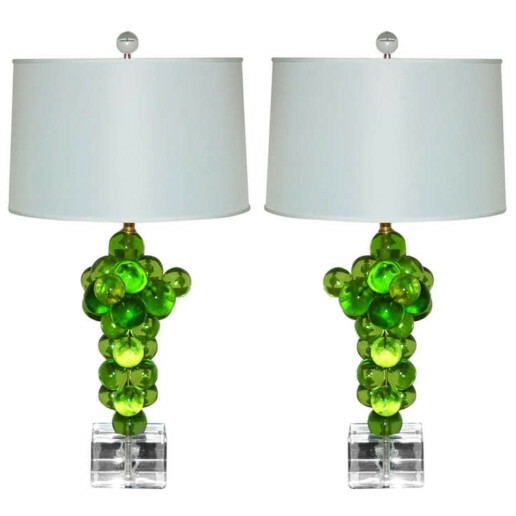 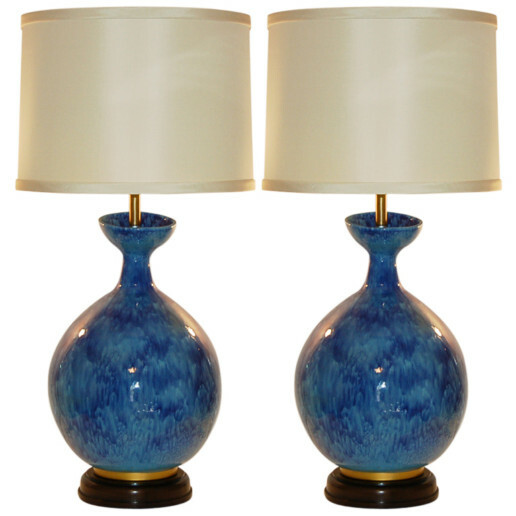 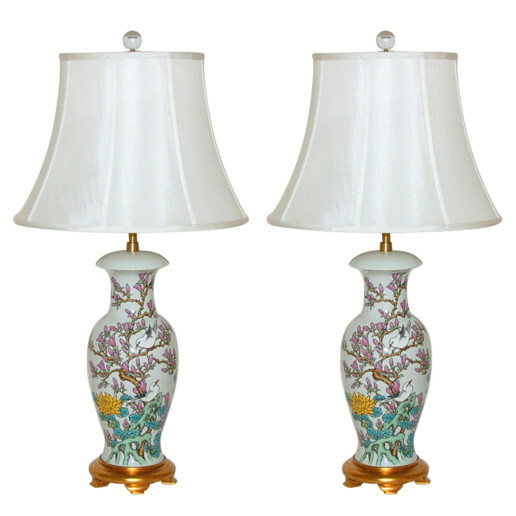 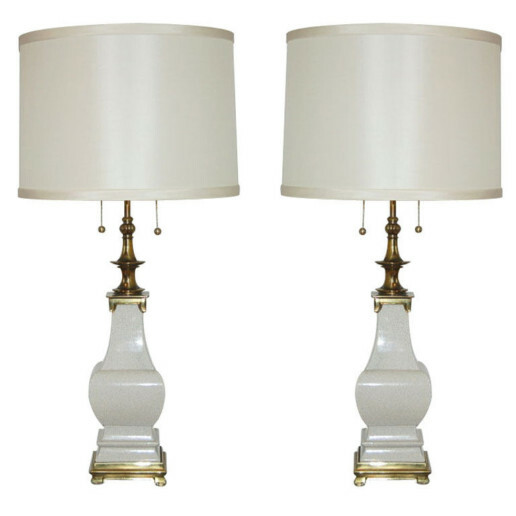 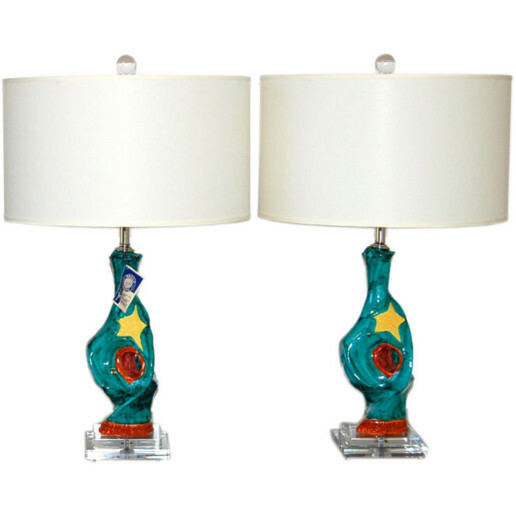 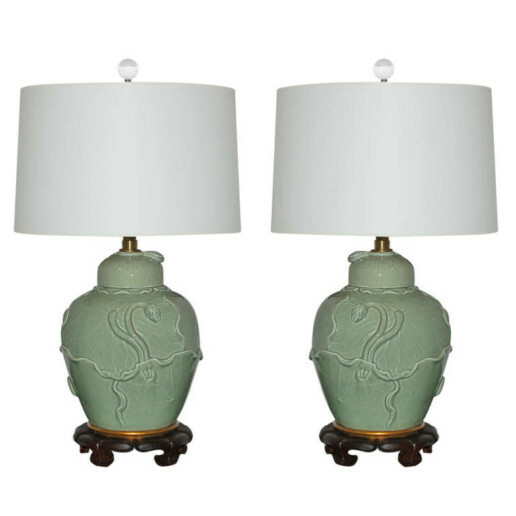 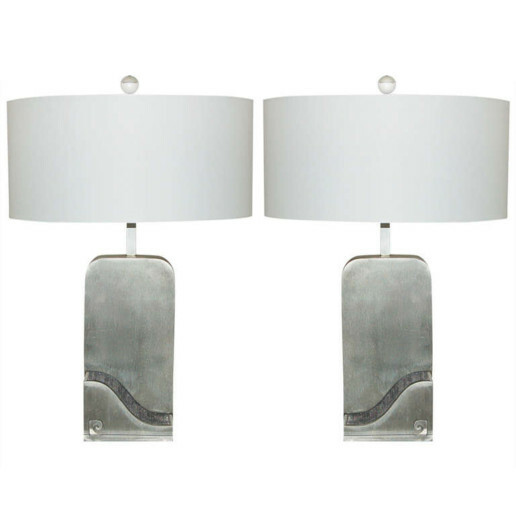 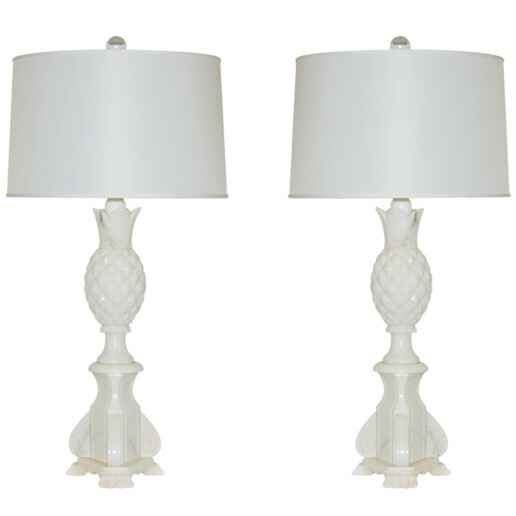 The lamps are 36 inches high from table top to top of brass cap and 18 inches wide. 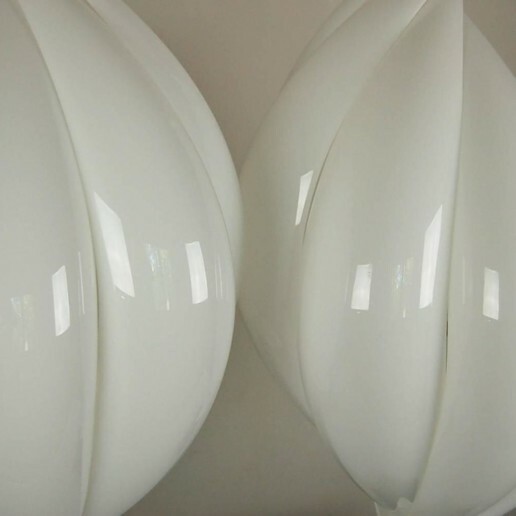 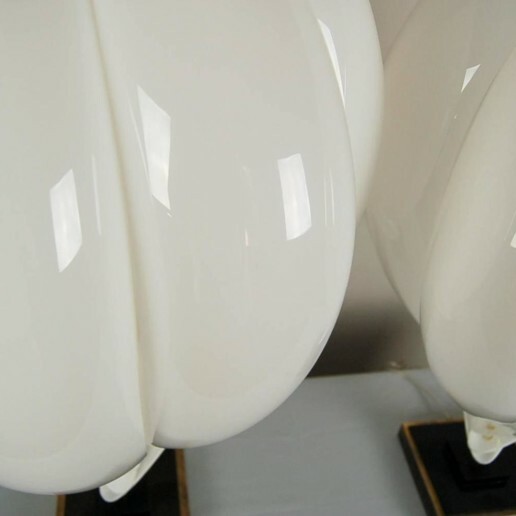 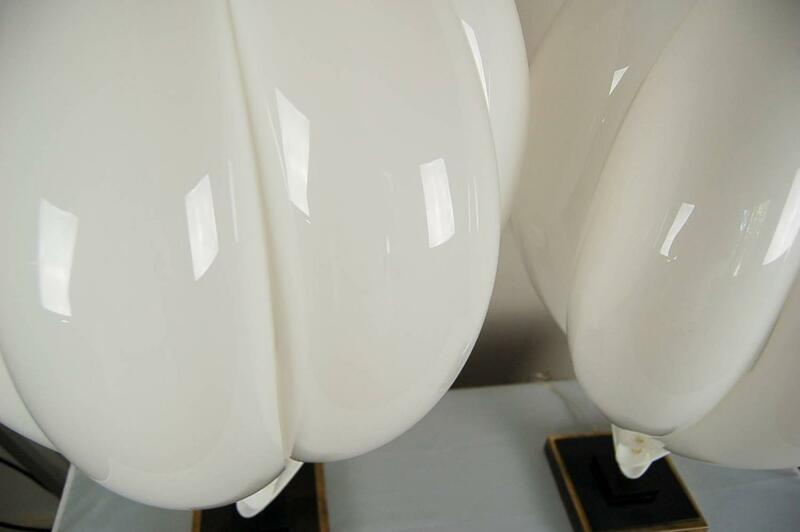 With a bulb mount inside the sculpture, no shades are required.